Crotalus molossus is a mid-sized venomous pit viper species. They range in color from yellows and olive greens to browns and black. As their name implies, one of their most distinguishing features is, despite variations in body color, the tail scales are entirely black. Often, Crotalus molossus has a black band across its eyes and diagonally down to the corners of its mouth, forming a sort of facial ‘mask’. 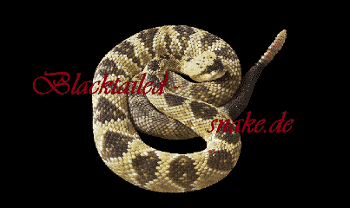 There are currently 4 subspecies of Crotalus molossus, C. m. molossus, C. m. oaxacus, C. m. estebanensis and C.m nigrescens. Black-tailed rattlesnakes are relatively simple in the terrarium keeping. However, since they need a temperature gradient for their well-being, a larger terrarium is better suited to accommodate the animals. I keep my animals in a terrarium with the dimensions 1.5 x 0.8 x 0.8 meters (4.9 x 2.6 x 2.6 feet), whereby it does not have to be so high. A height of 0.6 meters (2 feet) is also completely sufficient. I place a bark in the middle of the enclosure and one on the cold side of the enclosure to provide hide so that the snakes will feel secure. I use a mix between sand and earth because it looks more natural for me. I use only a big UV-Spot 12 hours per day in order to emulate day and night. This lamp gives a combination with heat, light and UVA and UVB. The average temperatures should be between 24-32°C (75-89°F) during day time and the hot spot around 40-45°C (105-115°F). A night temperature drop between 18-20°C (64-68°F) is recommended and benefits the animals. Wintering of this species is also required. The animals are accordingly prepared for the winter rest and placed separately in appropriate containers. During the wintering period the temperatures are between 10-12°C (50-53°F). This process not only has a positive effect on the welfare of the animals, but also encourages the snakes to reproduce. 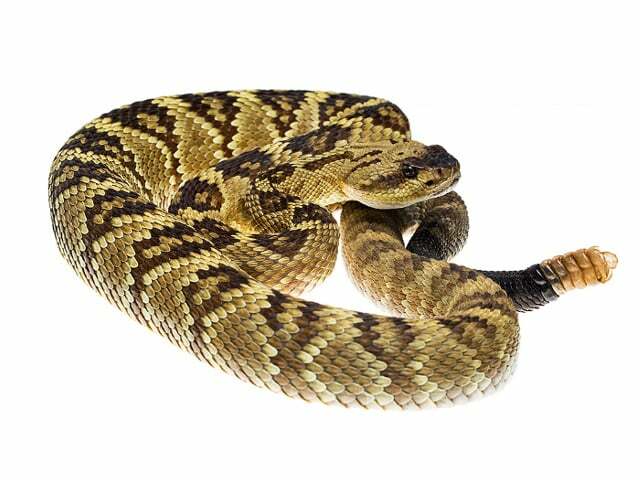 Clean water should be available for your Crotalus molossus at all times in a small water dish. Crotalus molossus doesn’t require high humidity. You can spray water inside the enclosure once a month or more times during summer. I feed my juveniles every 10 days appropriate sized meals, small mice. Adults Crotalus molossus can eat a medium sized rat every or 3 adult mice biweekly in order to maintain a healthy body weight. You can use 2 snake hooks, the most of them stay super calm on hooks. If not, you can use Snake tongs, but be careful. The risk to hurt them is very big. I spot clean my enclosure whenever necessary and change the water every second day. Whenever there is a need I clean the whole enclosure. They typically shed with no issues, but like any snake if kept with too low humidity, problems can occur. If you face issues with shedding, give it a small box with moist moss to crawl into and allow the shed to loosen. Make sure you don’t overfeed your Crotalus molossus because there is a big chance for regurgitation.